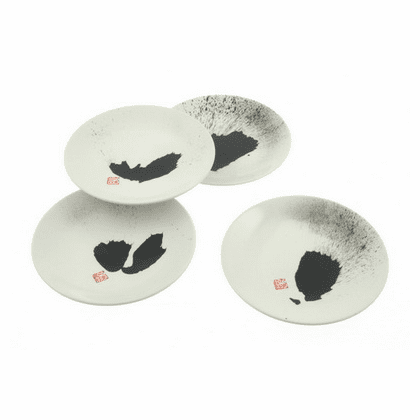 Sumiga Drops Plates Set, 5-3/4"
Home | Gift Sets | Sumiga Drops Plates Set, 5-3/4"
Four plates, each 5-3/4 inches in diameter. Matching plates, dipping saucers and chopsticks set available. Matching sumiga tea cup available. Matching teapot & 2 cup set available.